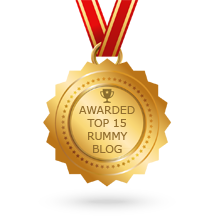 We’ve always mentioned that online Rummy is an easy game that can be played easily by everyone but they are some key factors to keep in mind while playing rummy that we are going to discuss in this article. Keep these points in mind every time you hit the tables as they are potential factors that could crash your party even when you are on the brink of winning. Never play rummy while watching television. Drowsiness is the antagonist of Rummy. Never play rummy when you are feeling drowsy. Always play rummy with a task in your mind rather than to kill time. If you’re just playing rummy for fun, play practice games or games with low stakes. Fix a bankroll while playing cash rummy games. Do not exceed the bankroll limit at any cost. You may lose concentration when you play rummy in a crowded place. Sit alone and enjoy the game with the goal of winning. Avoid snacks and other eatables while playing rummy as it could distract you. Avoid consuming alcohol while playing rummy. Rummy is a serious game regardless of its easy game play. You respect the rules, you gain else you lose heavily. 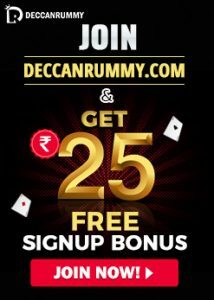 We hope that the article served its purpose in explaining about the different factors that could hamper your progress while playing at Deccan Rummy. Professional rummy players always follow all these in addition to incorporating some known rummy tips and strategies. Playing at Deccan Rummy has always been a rewarding experience. We make sure you relish every moment you spend with us and take back only pleasant memories. 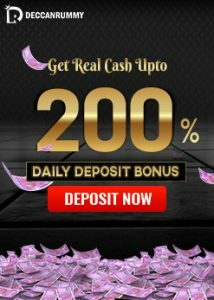 The myriad of offers existing in our website allows you to maximize your earnings. Do check our rummy promotions page to know more about the existing offers and promotions. Make optimal use of all the existing promotions and have an awesome time!